ONE IN A MILLION PROPERTY!!! Over 14 lush acres in the SFHS district! Sprawling RANCH with a finished basement! Beautiful POOL & Gazebo! BARN! Sport Court! Huge CUSTOM KITCHEN with Viking appliances! Enormous Great Room! Newly refinished HARDWOODS throughout main level! Beautiful VIEWS out every window! 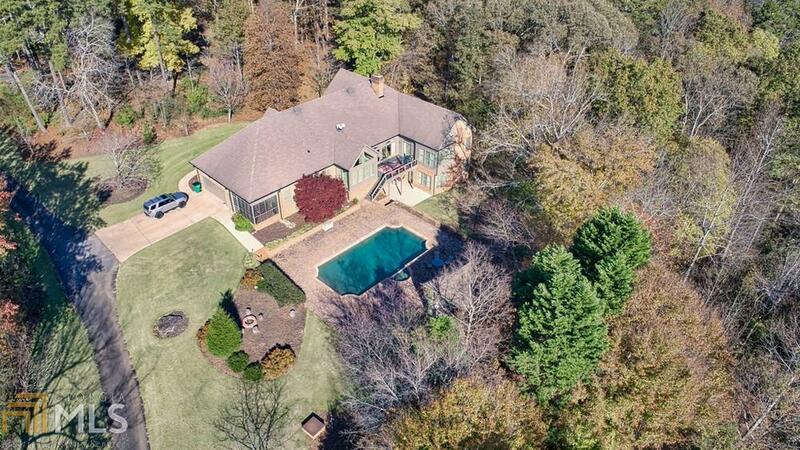 PRIVACY galore AND Amazing LOCATION and SCHOOLS! Talk about winning the jackpot!!! This amazing property is loaded with wow factors such as an interior pump room for pool equipment, enormous entertainment basement, oversized breakfast area. Property is bordered by a Creek and can be easily connected to sewer. Directions: Ga 400 North To Exit 13. Turn Right Onto Peachtree Pkwy/141. At 3rd Light, Turn Left Onto Majors Road, Bear Right When Road Splits To Remain On Majors Road. Turn Right Onto Woodsong Trail, Property Is In Cul-De-Sac.